Directions: For adults and children 12 years and over. Please read the attached leaflet carefully before starting to use the product and note the chewing technique. 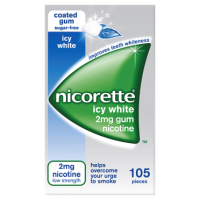 Chew one piece of gum when you feel the urge to smoke. 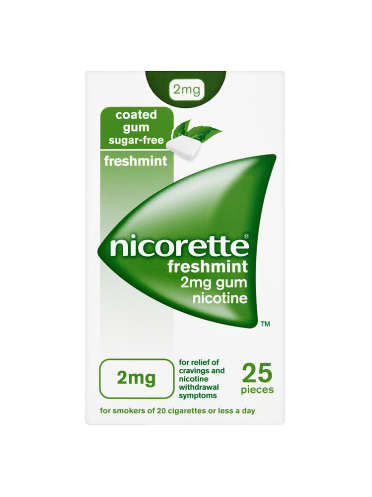 For Nicorette chewing technique refer to top sliding lid of carton. Do not use more than 15 pieces a day. 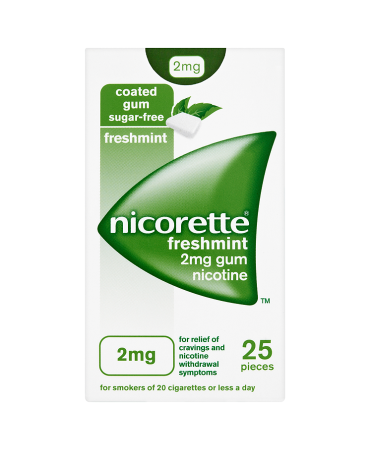 Nicorette freshmint gum relieves and/or prevents withdrawal symptoms including cravings experienced when trying to stop smoking or cutting down on cigarettes. 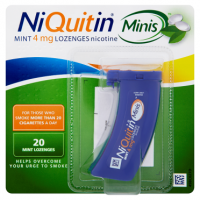 It provides a safer alternative to smoking for both the individual and those around them. Ideally you should aim to stop smoking. 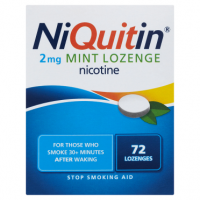 However, this product can be used either to completely replace all your cigarettes, or if you do not feel ready to stop smoking completely, to replace certain cigarettes and therefore help you to cut down. 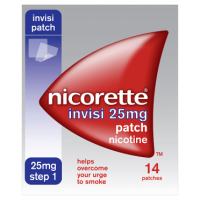 It may also help increase your motivation to quit. If you are pregnant, or you need any other advice before using this product, talk to your doctor, pharmacist or nurse. Do not use if you are allergic to any of the ingredients listed.